This session will guide participants through the creation of an Instagram account for their business. Further participants will learn best practices with account management. The session will also touch on Instagram advertising.Ideal Participant: Individual who is interested in pursing alternative social media options targeted at a younger audience. 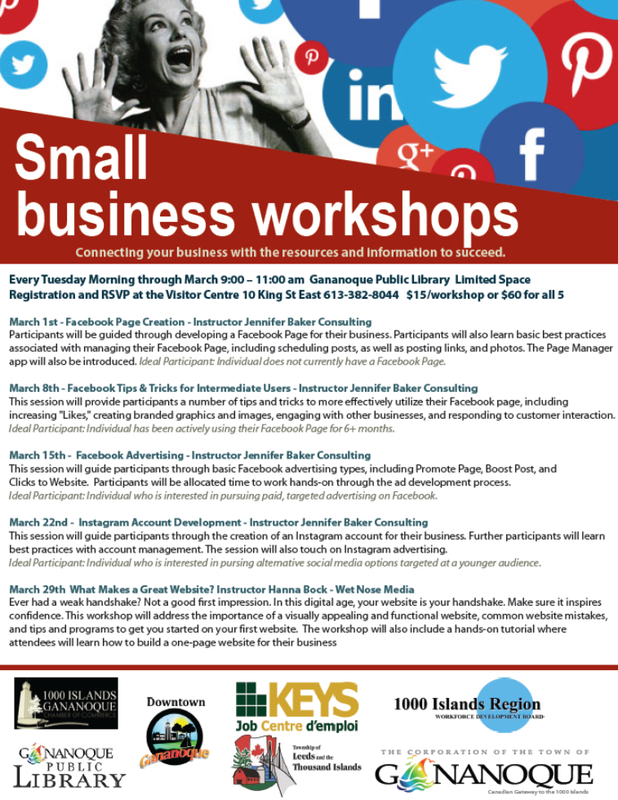 RSVP at the Visitor Centre 10 King St East 613-382-8044 $15/workshop or $60 for all 5.